View More In Bonsai Cutters. A ratchet mechanism can be adopted and a branch can be conventionally cut by the power of the abbreviation 1/3 as compared with elegance. A main part is a lightweight and strong product made from aluminum. A fluoride coat edge strong also against tar and dirt. The TPR resin grip which also absorbs a shock that it is hard to slide. 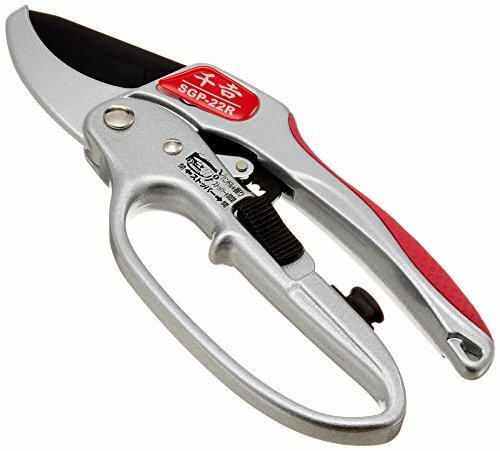 [The feature and function] For pruning / trimming work. Work is easy at a ratchet mechanism. A lightweight and strong aluminium car body. Green-wood cutting capability: 20 mm. If you have any questions about this product by Senkichi, contact us by completing and submitting the form below. If you are looking for a specif part number, please include it with your message.